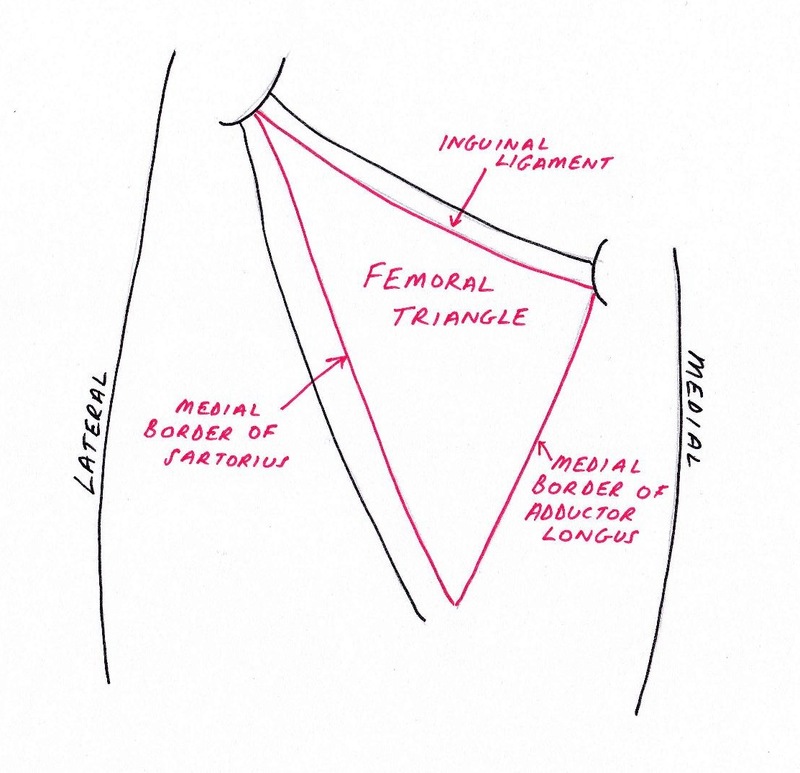 The femoral triangle is a superficial space (triangular in shape) on the anterior thigh that is located just inferior to the inguinal ligament. Remember the inguinal ligament passes inferomedialy from the anterior superior iliac spine to pubic tubercle. 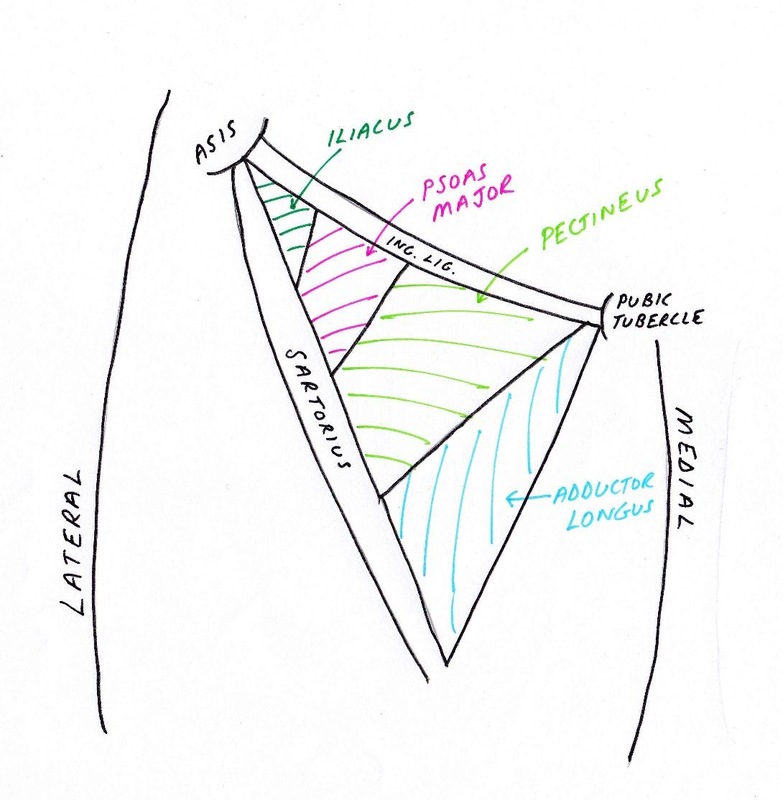 Iliacus, psoas major, pectineus and adductor longus. 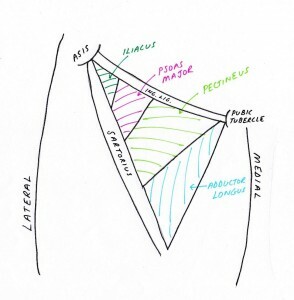 The roof of the femoral triangle is made up of superficial fascia, deep fascia and skin (that’s it). ‘NAVIGATE’ is a good mnemonic. Or ‘NAVY‘ (Y standing for Y fronts!). The long (‘great’) saphenous vein joins the femoral vein in the femoral triangle. 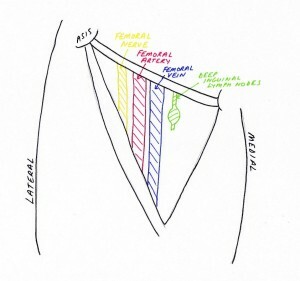 It enters the femoral triangle through the saphenous opening in the deep fascia (‘fascia lata’). The femoral artery is a continuation of the external iliac artery and it becomes the femoral artery at the mid-inguinal point – i.e. when it enters the femoral triangle. The femoral nerve lies in the groove between the iliacus and the psoas major (the two most lateral muscles that make up the floor of the femoral triangle). 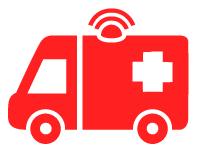 Lateral cutaneous nerve – crosses the lateral corner of the triangle and supplies the the skin on the lateral thigh. Femoral branch of the genitofemoral nerve – runs in the lateral compartment of the femoral sheath and supplies the skin overlying the femoral triangle. 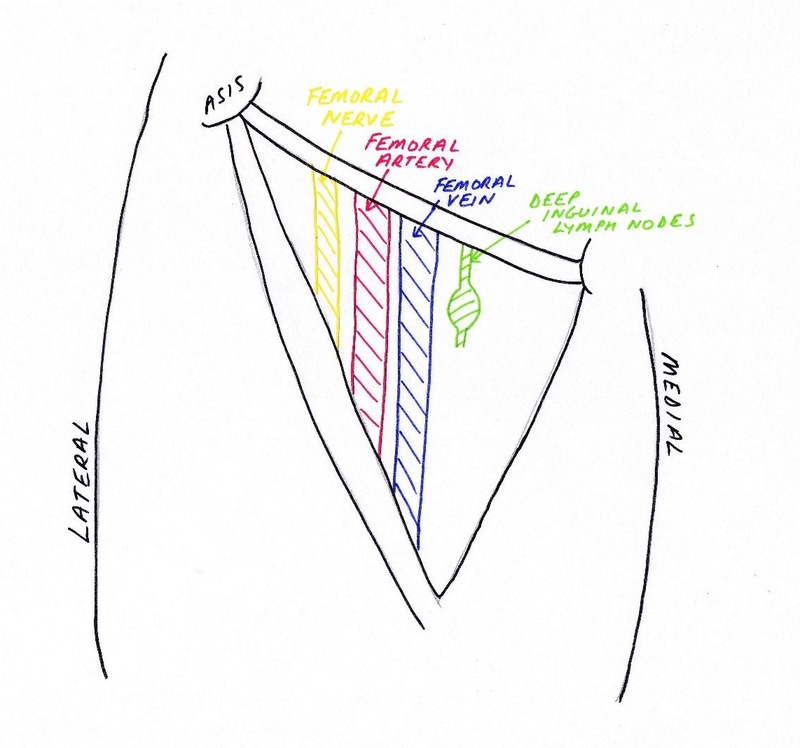 This is a fascial sheath that contains the femoral artery, femoral vein and the femoral canal. It does NOT contain the femoral nerve. It is a prolongation of the extraperitoneal fascia from the abdomen. The anterior wall arises from the transversalis fascia and the posterior wall is from the fascia iliaca. The lateral compartment of the femoral sheath contains the femoral artery. The intermediate compartment contains the femoral vein. 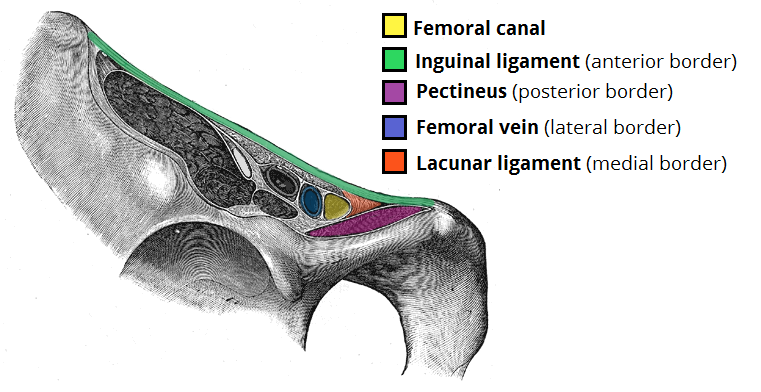 The medial compartment – the femoral canal – contains a plug of fat and a lymph node (‘Cloquet’s gland’). The canal is a rectangular space which allows the femoral vein to expand and increase venous return from the lower leg. It is also a lymphatic pathway from the lower limb to the external iliac nodes. NB: the pectineus muscle is an adductor/flexor of the hip. It arises from the pectineal border of the superior pubic rams and inserts into the pectineal line of the femur. The superior 1cm of the femoral canal is called the ‘femoral ring’. It is the abdominal entrance to the canal. Clinical significance: The femoral canal is a vulnerable point of weakness in the abdominal wall – a femoral hernia can occur. It presents as a lump inferolateral to the pubic tubercle. It occurs more commonly in women because of the wider female pelvis. The tight boundaries of the femoral canal make femoral herniae particularly vulnerable to strangulation. 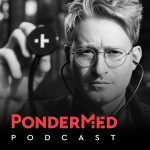 Clinical Anatomy – Harold Ellis and Vishy Mahadevan. 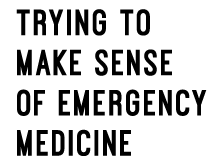 Revision Notes for MCEM Part A – Edited by Mark Harrison. 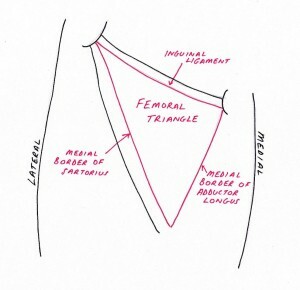 http://teachmeanatomy.info – This website provided the femoral canal boundaries image. 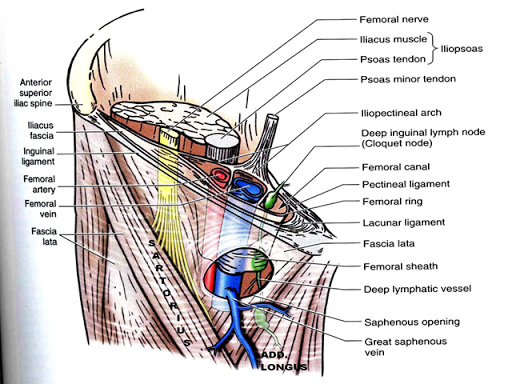 http://groupd1022.blogspot.co.uk – this website provided the femoral sheath image. https://www.youtube.com/watch?v=q-vwk7xN2gA – excellent anatomy video from Dr. Nabil Ebraheim.